Do I need to make a new Will if one of my executors dies before me? There can be some misunderstanding and a bit of confusion about what happens if one of the executors to your Will dies before you, so here we will clear that uncertainty up and explain the effect the death of an executor has on the validity of a Will. An executor can be a beneficiary of your Will, although they must be over the age of 18. In fact is is very common for someone’s spouse to be made both beneficiary and executor. However, a word of caution:- people who accept the position of executor often don’t fully understand what the role involves. It can be more difficult than many people think and few realise that they are personally liable if they don’t follow the rules and also that they can be sued by the beneficiaries. That is one of the reasons we recommend appointing a professional firm as either executor or co-executor. It is usually good practice to appoint more than one executor just in case an executor dies before you. Up to four executors can be named and reserve executors, also known as substitute executors, can also be appointed. What happens if an executor dies before me? If an executor dies before you, or ‘pre-deceases’ you in legalese, it will not invalidate your Will. That in a nutshell is the answer to the question do I need to make a new Will if one of my executors dies before me? However, where an executor predeceases it is important to consider if there are any other living executors. If the Will names another executor and they are still living then it will be possible for that executor to apply for probate. However if all named executors have died then court rules are applied to determine who the executor shall be, such as a beneficiary under the Will. That is another reason that we recommend appointing a professional firm as either executor or co-executor. So, to summarise, while the death of an executor doesn’t invalidate a Will, you may wish to review your Will and make a new one if you want to have complete control over who your executor(s) will be. Do I need to make a new Will if one of my witnesses dies before me? 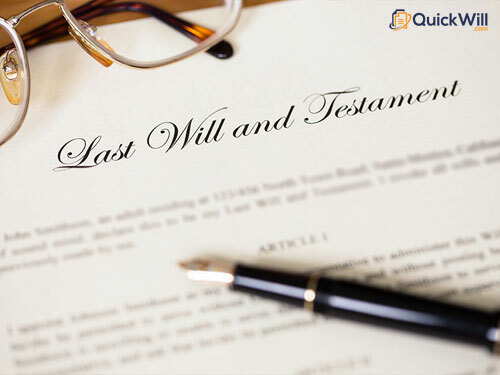 There is often some confusion and misunderstanding about what happens if one of the witness to your Will dies before you, so here we will explain the effect the death of a witness has on the validity of a Will. Any adult who has “mental capacity” can witness your Will, as long as they are not a beneficiary, or married to a beneficiary. Legally, the only qualification for your witnesses is that both are over 18 years of age. Since both must see you signing your will, an implied qualification is that neither is blind. By law, your Will needs to be witnessed by two witnesses for it to be valid. It is all about preventing fraud. There is a need for two witnesses to be present at the same time, so that each one can confirm that they watched you sign your Will on a particular day and at a particular place. What happens if a witness dies before me? If a witness dies before you, or ‘pre-deceases’ you in legal language, it won’t invalidate your Will. That in a nutshell is the answer to the question do I need to make a new Will if one of my witnesses dies before me? 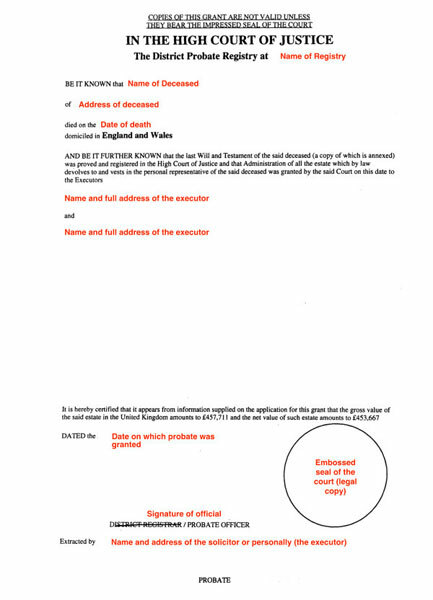 However, very occasionally it may be the case that when applying for probate, the executor could be asked to provide proof that a witness has died and that their signature is valid. In practise, this is very rare. When making a Will, it is essential that it is witnessed correctly. That is why for every Will we create, we include a complimentary “Will Signing Guide” to explain the process. There is some confusion and misunderstanding about the probate process, so here we will explain the difference between a grant of probate and letters of administration. When an individual dies their assets including any property that they own, their bank accounts, and all personal possessions that they leave behind are known as their estate. To be able to deal with the deceased’s estate it will be necessary to obtain legal authority from the Probate Registry. This legal authority that is issued by the Probate Registry is called a Grant of Representation which will allow whoever is dealing with the estate to close bank accounts, cash in investments and to sell or transfer property. The Grant of Representation comes in two different forms – either a Grant of Probate where an individual dies with a valid will or what is known as Letters of Administration, if the individual dies without a will. A Grant of Probate will only be issued to the executors that are named in the Will. Once the executors have got the Grant of Probate they have the legal power to deal with the estate, and they can start to cash in assets and transfer them to the beneficiaries named in the Will. Some financial institutions may need to see a copy of the Will and the Grant of Probate before they release any funds as they need to be sure that the Will is valid and the named executors are the correct people responsible for dealing with the estate. The Grant of Probate is legal confirmation that the Will is valid. Once the Grant has been issued, it means that the Will has been officially registered and the executors named in the Will are the only ones who have authority to deal with the estate. Letters of Administration are similar to a Grant of Probate, but are issued instead to the next of kin of an individual who dies without a Will. Letters of Administration is the document issued by the Probate Registry to the administrators authorising them to deal with the estate. The authority to do this is not automatic, and it may be necessary to apply to the Court for Letters of Administration to confirm an entitlement to manage an estate, as there are certain financial institutions that require this. This can cause problems if, for example, family members cannot agree who would be the best person to deal with the estate. Where there are such disputes, it is normal practise for the Court to get involved, and the financial costs involved in this can soon mount up. Letters of Administration might also be issued where there is a valid Will, but the Executor named in the Will is not applying for a Grant of Probate. This could be because they do not want to act as executor, are not capable of doing so, or they have already passed away. Where this is the case, it is common for one of the main beneficiaries in the Will to apply for Letters of Administration instead. The offices that issue Grants of Probate and Letters of Administration are known as Probate Registries, and there are twelve such offices in England and Wales. The probate registry is responsible for making sure that the will is valid and the applicant is entitled to handle the estate of the deceased. A probate registry decides the legal validity of a deceased person’s Will and grants its approval, also known as granting probate, to the executors. This acts as proof that the executors have the authority they need to handle the estate of the deceased person. When making a Will, you should think long and hard about the appointment of your executors. An executor needs to have the capability of managing a potentially complex process that can take a long time to complete. A will template may seem like an excellent no-frills, no-fuss solution for solicitors that find that a percentage of their business involves the drafting of wills. However, Gerry W. Beyer, a blogger on the Law Professor Blogs Network, cautions against using a one size fits all solution for will writing. Mistakes can happen when writing wills. Some errors are more likely to occur when using a prepared templated form. Poor processes concerning the witnessing of the Will ceremony is often a problem area; inexact wording and cutting and pasting errors are other areas of concern, more likely to pop up when relying on a will template. Using a will template leaves people more open to mistakes caused by copying and pasting errors. A prepared, standard form can also incorporate ambiguous language that is inexact and likely to cause a problem later. Improper execution of the will ceremony is also more likely when attorneys use a will template. Our comment is that there is no excuse for imprecise language. Read more: Law Professors – Tips From The Bench. The Society of Will Writers is a non-profit making self regulatory organisation which promotes to the public the real need in having a valid Will; and serves Will writing practitioners through stringent membership requirements, proficiency standards and on-going training. The Society of Will Writers was established in 1994 as an independent body representing the professional Will writer and the interests of the consumer. Today, the Society is the largest Will writing trade body and has many members. Why should you use a Society of Will Writers member? All members hold professional indemnity insurance with a minimum cover of £2 million. All members adhere to a complaints procedure. All members are entitled to technical support to ensure they offer the best service to their clients. All members need to pass a stringent application process, and pass an examination. All members are bound by The Society’s code of conduct. All members continue to train on a yearly basis. 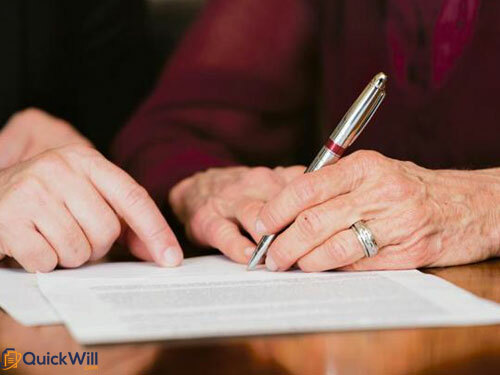 It is important to note that Society of Will Writers members are will writing specialists who deal almost exclusively with one area of law – succession planning; and as such, are best placed to offer specialist advice. There are many Will writing individuals and Will writing companies, but it is vital to choose one that is competent, professional and has the appropriate expertise and experience. All Society of Will Writers members go through a stringent vetting procedure and continuing training to ensure that they are able to write Wills properly. The will writing industry is unregulated, so anyone can call themselves a will writer. However only a properly trained professional can ensure that your Will will be correctly drafted. If you are shopping around for a Will, it is something you need to consider, and you should ask yourself why risk your entire estate by having a Will drawn up by anyone other than a trained professional. Here at Quick Will, we are proud to be full members of the Society of Will Writers and naturally we fully comply with all membership requirements. Maybe now is the time to call upon this expertise and create a Will knowing you are in safe hands with a full member of the Society of Will Writers.